T.O.M. are welcomed back to the label with this gorgeous techno tune - Project Stargazing. Deep and hypnotic from the start, the tune grooves through the gears with perfectly formed minimal melodic content and beautifully formed percussion and bass that simply ooze warmth. The main riff is simple and effective and builds at just the right pace with a continually mesmerising feel. 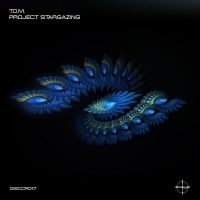 'Project Stargazing' is available now from Beatport and iTunes.